Rachel Winograd learned from one of her colleagues last December that she’d been nominated for the University of Missouri System President’s Award for Intercampus Collaboration. But that didn’t dampen the surprise March 21 when the associate professor of research at the University of Missouri–St. Louis’ Missouri Institute of Mental Health opened her inbox and found an email from UM System President Mun Choi notifying her that she’d won. 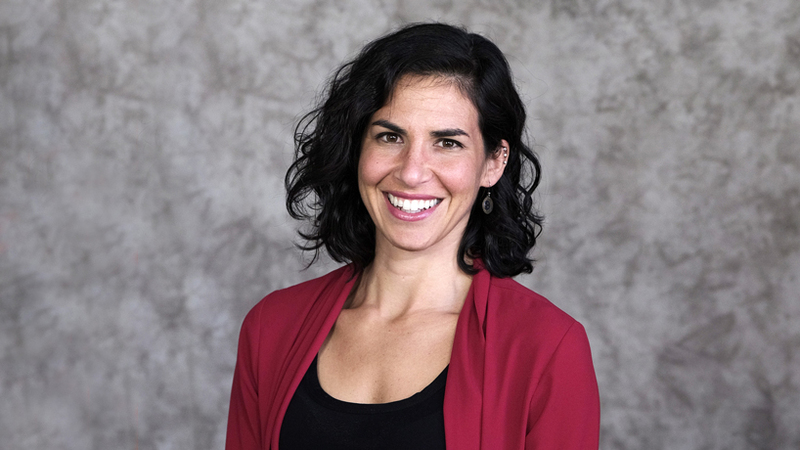 Winograd, noted for her work researching and combating the opioid crisis in St. Louis and around the state, will be recognized along with other faculty award winners in September during the annual State of the University Address. She also will receive $4,000 as part of the award. Winograd believes the impetus for the honor was the work she did last fall leading researchers from throughout the UM System and Washington University in St. Louis to try to secure a grant through the National Institutes of Health’s HEAL Initiative. It would have brought $90 million in funding over four years to apply toward researching and preventing opioid addiction in 16 Missouri communities with a goal of reducing the overdose death rate by 40 percent in three years. Unfortunately, Missouri’s was not among the three state proposals to make the final cut. Of far greater significance than her award were the connections she formed with other researchers across the state working to try to slow the epidemic. “At the Mid-America Addiction Technology Transfer Center at the University of Missouri–Kansas City, they have a long history of doing training and technical assistance regarding substance use and behavioral health,” Winograd said. “On either side of the state, we have a lot of experience and knowledge of the community and the systems and how people are served in Missouri. Then at Mizzou, you have this really prestigious research university with a real expertise in addiction but mostly alcohol. Winograd’s co-principal investigators were Dr. Laura Bierut, a physician-scientist in the Department of Psychiatry at Washington University, and her colleague Associate Professor Patricia Cavazos-Rehg. She also worked with Holly Hagle and Pat Stilen at UMKC; her former graduate adviser Kenny Sher, Denis McCarthy, Matt Martens and Tim Trull at MU; Assistant Research Professor Claire Wood, Research Scientist Erin Stringfellow and staff at MIMH; Cynthia Jobe and Melissa Laurenti in UMSL’s Office of Research Administration; and multiple other departments at UMSL and MU, as well as researchers in psychology and family medicine at Saint Louis University. Winograd believes the work that was done will pay off in the future through collaborations on other grants aimed at the same fundamental goal: ending opioid addiction and preventing deaths. She is currently working on a proposal for a grant through the Substance Abuse and Mental Health Services Administration. She is also playing an active role in the development of the Missouri Center for Addiction Research and Education.